Forget downloading a different app for every system in your home. Manage your entire home with a single, easy-to-use app. We make home automation simple, not complicated. Start with our Smart Hub. Add the components and systems you want to control – All of them or just some of them. Everything works together seamlessly. We’re constantly looking for ways to make managing your home more convenient. Currently you can control your whole home from your smart hub, phone, tablet, computer, watch or voice. Simplify your life with personalized scenes you create. Assign one button in the app to perform multiple tasks – like a LEAVE button to turn off the lights, lock the doors, turn down the thermostat, arm the security system and close the garage door. A RETURN button could open the garage, unlock the door, turn on the hallway light and disarm the security system. Try other fun options like a MOVIE button that dims the media room lights, turns off the lights in the rest of the house and locks all the doors. Or a WAKE UP button that turns on a bedroom light, starts the coffee pot and turns on the radio in the kitchen. Draw a radius around your home on a virtual map to get customized reminders and automation based on the GPS location of your smart phone(s). Did I forget to close my Garage Door? No need to wonder! Get reminded anytime you leave home without closing it, and quickly close it with one click. Never forget to arm your security system again! Get reminded if you forget to lock your doors, leave a window open or forget to arm your security system. Did I leave my back door unlocked? A quick peek at the app tells you if your doors are unlocked, and you can lock them with one click. Even better, set up a notification and we can alert anytime it is left unlocked. With keyless smart locks, everyone gets a unique user code. Set up custom notifications and you’ll know instantly when the kids get home from school, a contractor arrives or the cleaning service leaves. Save energy with automation based on your activity, system status and location. Program your lights to automatically turn off and your thermostat to automatically adjust when you leave home. Use smart schedules to keep your home comfortable while lowering your energy bill. With lights and thermostats that integrate with your smart security system, we know when you are home or away and can make automatic adjustments accordingly. For added safety, lights can all turn on when there is an alarm, and your HVAC system can be shut down when a fire is detected. Know instantly if the lights are left on, someone adjusts the thermostat, or if your HVAC system operates outside of normal parameters – like running too long without changing room temperature or dropping above or below a point you set. With temperature sensors, you can even monitor a specific room for anomalies, like a child’s bedroom or an area where you keep your pet. You have things to do. Let us take care of installing and programming your new smart system. 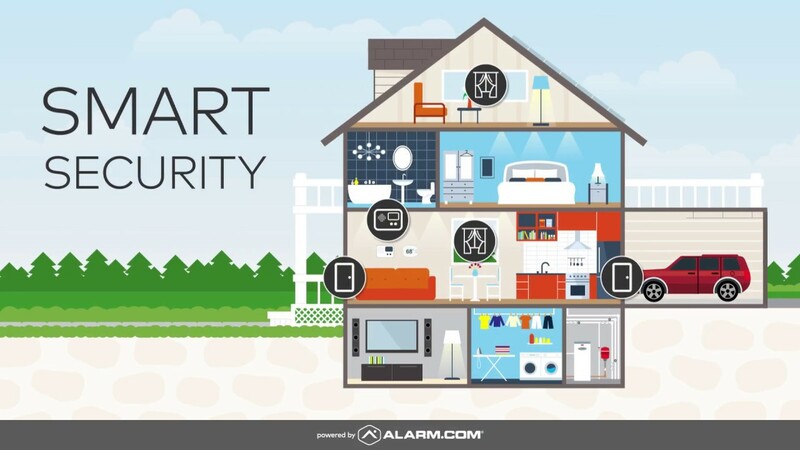 Our licensed technicians are experts in security and smart home technology. Once all the components are installed and programmed, they will take time to make sure you are fully comfortable with the operation of your new equipment and app. Skip the stress of DIY – Let DFW Security make sure your installation is done right.